We are not dogmatic technique, caliber nor pistol-type snobs; we believe that your mental navigation of the event is just as important as shot placement and we understand that everyone’s body is different and there is no one-size-fits-all in shooting technique. We’re here to partner with you on your journey into firearms and preparedness training to make the path as safe, comfortable and smooth as possible. 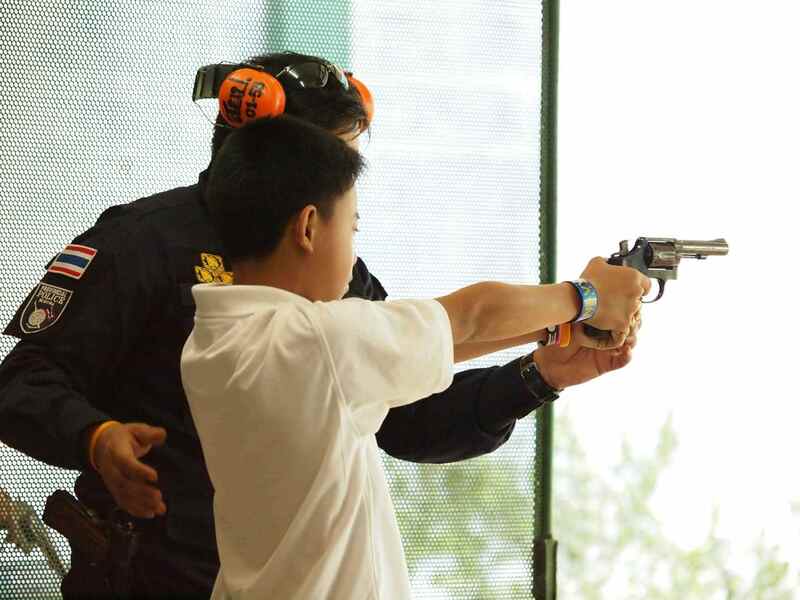 We are also adept at assisting those with disabilities to find a gun, holster and style that is optimal for them. Our excellent gunsmith can make custom alterations, if needed, to whatever degree necessary. Once a student’s training reaches intermediate levels we believe that the more techniques and systems they are familiar with the better they can identify what works for them and blend it into their own Art of Defense. Simply put: “If it is stupid but it works, it’s not stupid.”, or “If it’s comfortable, safe and accurate, it’s good.”. In pursuit of this, we have guest trainers that run the gamut from folks with Special Forces, SEAL, Ranger, combat medic and law enforcement backgrounds to folks that have developed market-specific techniques that we believe are extremely well suited to that market as well as martial arts, preparedness instructors and Emergency Medical Technicians.